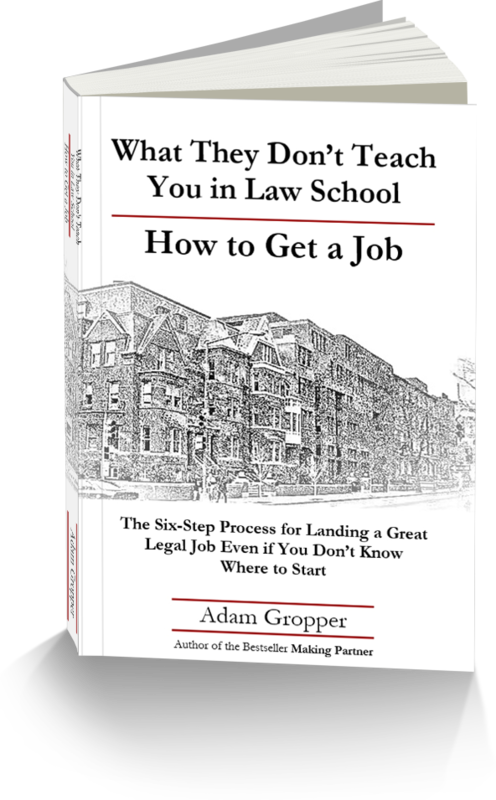 The six-step process for landing a great legal job even if you don't know where to start. A compilation of nearly twenty years’ worth of advice and experience. It is an aggregation of feedback from recruiters and many potential employers, including partners, general counsels, and decision makers in top law firms and companies of all sizes, and people with hiring authority in Congress. The suggestions you will find here reflect takeaways from many lively discussions with law school professors, deans, and other administrators, and current and recently graduated law school students, including many students whom I successfully coached and mentored to help secure their dream legal job. In some measure, the advice is also based on my own experience at law school years ago.